Takako: Hey, Runa, this Best Couples event seems to have an awfully large budget, doesn’t it? Runa: Yeah, Nee-sama is funding it out of her own pocket. Takako: That’s unbelievable. Rena-senpai must be rich. Runa: It seems like she made a killing at this last Summer Comiket. 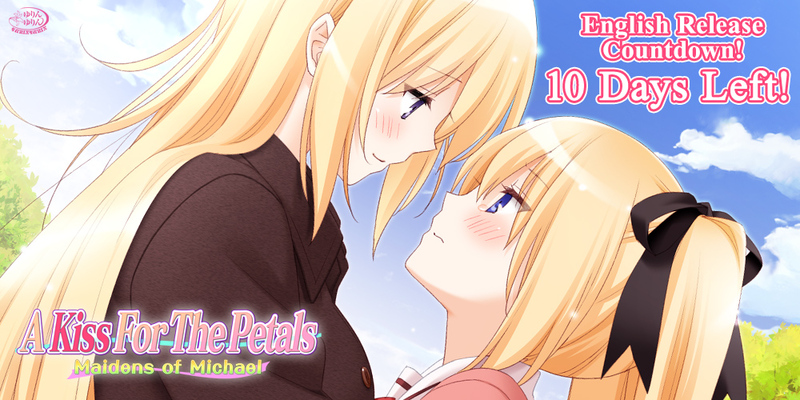 “A Kiss For The Petals – Maidens of Michael” goes on sale in ten more days. Tagged a kiss for the petals, maidens of michael, sonohana, yuri, yurin yurin.